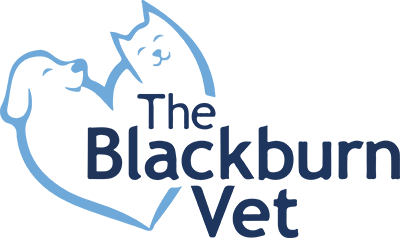 At The Blackburn Vet we have a small in-clinic cattery which houses ten cats comfortably. When our furry visitors stay in our accommodation they will enjoy a variety of services. All guests boarding in our facility are cared for by a team of trained, veterinary staff. We love all of our guests and we visit frequently during the day for a pat and a cuddle. It doesn’t take long to get to know our guests' routines and little quirks. This is why we have many return visitors. Each individual enclosure has multi-level platforms and comes complete with comfortable fluffy bedding, igloo, scratching post and toys, to ensure your beloved kitty feels right at home. Our cattery also has temperature control so we have the heating on for the cold days and nights and the air conditioner on for the hot days. We also have a security window we can open and close to let fresh air in during the day. We use a Feliway diffuser in our cattery, which operates 24/7. These calming pheromones are continually released into the cattery to help the cats feel safe and secure and reduce any stress of being away from their home. If your cats have any favourite bedding/ blankets/ toys then you are most welcome to also bring them in to make them feel more comfortable. All boarders receive premium cat food - Royal Canin Feline Adult Dry, Wet or Dental diet food (unless requested otherwise). Cats requiring daily medication(s) will incur additional fees. Medications must be clearly labeled and detailed instructions given at the time of admission. If your cat is on a special diet you can bring that in and we will solely feed that at no extra charge. Because we are a vet clinic we offer a FREE cattery health check with a veterinarian to all of visitors, whether you are a client at the clinic or not. If requested we can also offer other services while your furry friend is boarding with us, after all we are a vet clinic. These might include services such as senior checks with blood/ urine testing and dental procedures. If your cat is a part of our Best for Pet program then you will also get a discount on these procedures as well as two nights of FREE cat boarding per year. Willow pictured here is a frequent visitor to our cattery and earlier in the year he stayed with us. He is on our Best for Pet program, so when he boarded with us we were able to perform his senior blood test, urine test and dental procedure all while in clinic on his holiday. We took care of all his post procedure monitoring and recovery so by the time he returned home he was fully recovered. Willow also claimed his two nights of FREE cat boarding too. All cats must be up to date with their F3 vaccinations. A certificate of vaccination is required at the time of check in. We also strongly recommend that all cats receive intestinal worming and flea prevention prior to their stay. We can administer on arrival if requested. Please note that during Easter and Christmas, bookings need to be made early in advance. Please call us to book your cat in today!